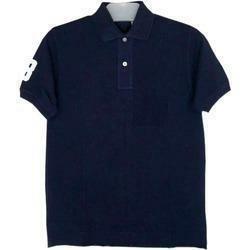 Owing to our rich vendor-base, we have been able to supply and export a wide range of Polo T Shirts. Our offered T-shirts are procured from reliable vendors of the industry, who manufacture the same using best-in-class fabrics and yarns. 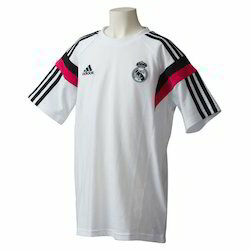 Available in different sizes and colors, these T-shirts are demanded across the globe. Being quality-centric firm, we are engaged in presenting a high-class range of Ladies Polo Neck T Shirt. Polo Tshirts for regular wear and corporate promotions in cotton and blended fabrics. The Womens polo t-shirts offered by us are designed from qualitative cotton fabric and are hence characterized by durability, comfort, and excellent fit. Catering to the varied. We are offering an exclusive range of Mens Polo T-Shirts. These Mens Polo T-Shirts are designed and fabricated under the supervision of our highly experienced professionals using the finest grade fabrics in accordance with the international standards. Our Mens Polo T-Shirts are extremely comfortable, highly durable and easy to maintain.